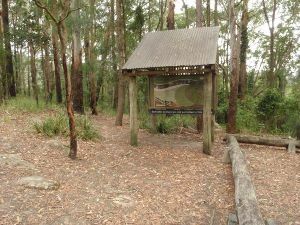 Veer left: From the intersection, this walk follows the ‘Graves Walk’ sign between the timbers posts and down along the track. 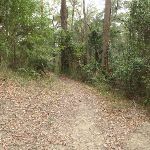 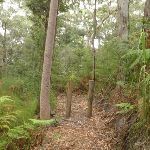 The track winds down the hill then passes between a few more timber posts, past an arrow marker and a few more meters to another arrow marker and intersection with a short link track (to the horse trail). 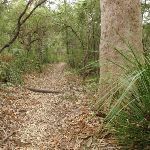 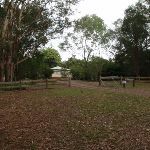 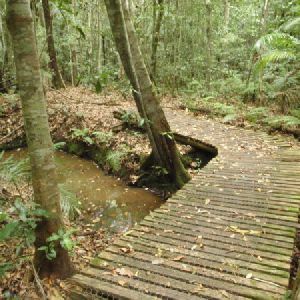 Continue straight: From the intersection, this walk follows the walking track and arrow gently downhill, keeping the horse track through the bush to the right. 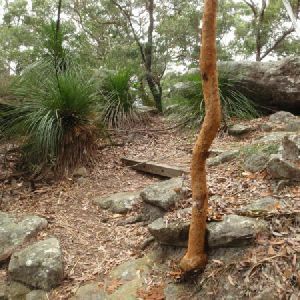 The track head down along the ridge and passes the number ‘6’ post (Aboriginal markings in the stone). 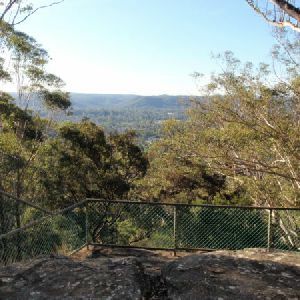 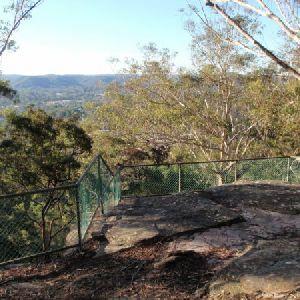 Soon the ridge narrows to a rocky outcrop, where the track heads down the stairs to a large five-way intersection and a locked gate, behind the ranger’s residence. 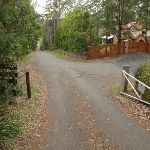 Continue straight: From the intersection, this walk follows an arrow past the post with the purple strip down a few steps, initially keeping the locked gate to the left. 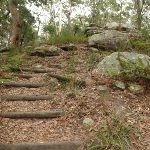 After heading down more steps, the track passes a steep trail on the right (that leads to Murina Close). 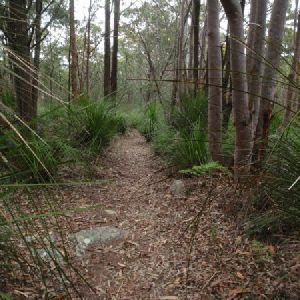 This walk continues gently down the hill, then down a series of steps, then the track starts to flatten out again and round a gully. 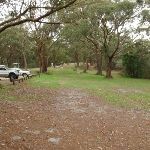 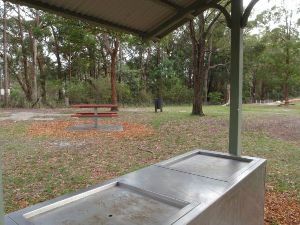 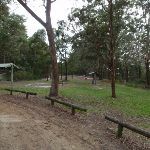 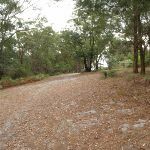 The track then leads to a picnic area and car park in front of the ranger’s house. 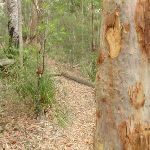 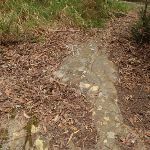 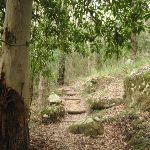 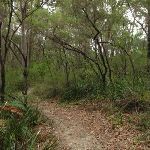 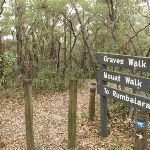 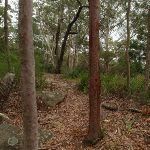 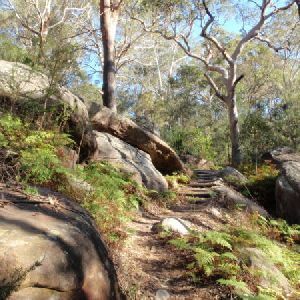 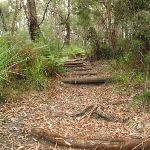 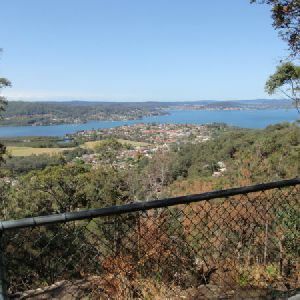 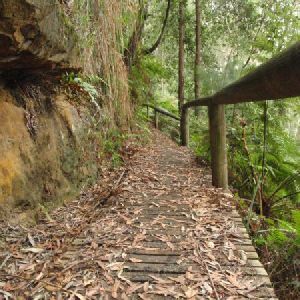 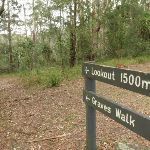 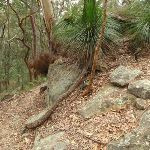 A list of walks that share part of the track with the Graves Walk walk. 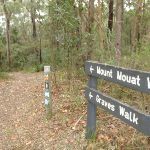 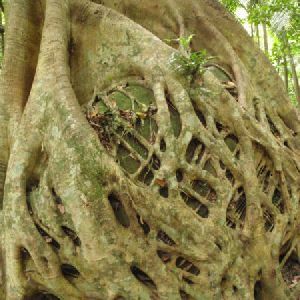 A list of walks that start near the Graves Walk walk. 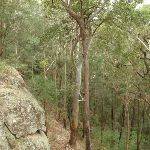 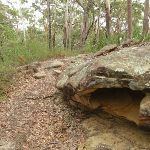 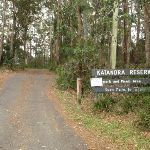 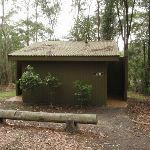 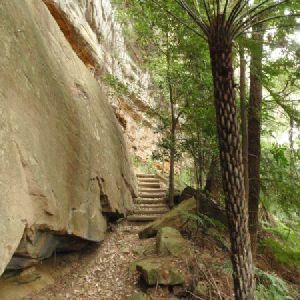 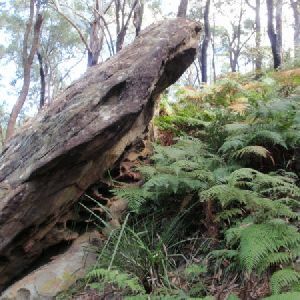 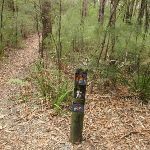 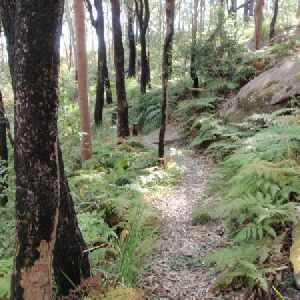 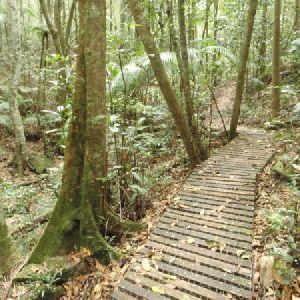 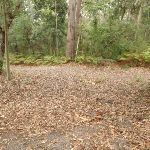 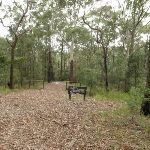 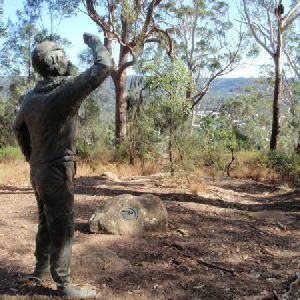 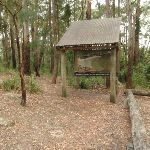 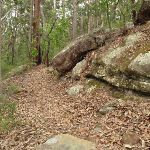 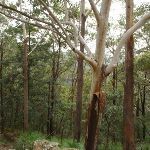 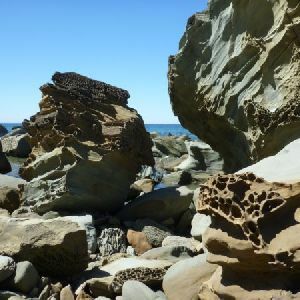 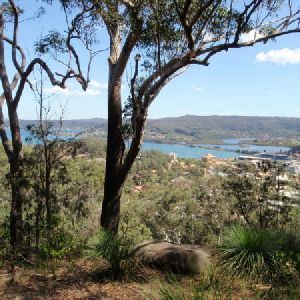 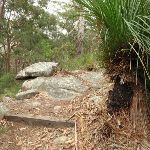 http://new.wildwalks.com/wildwalks_custom/includes/walk_fire_danger.php?walkid=nsw-katandrares-gwt Each park may have its own fire ban, this rating is only valid for today and is based on information from the RFS Please check the RFS Website for more information.